Magento brought a revolution in the ecommerce ecosystem. Small or large, big or small, all kinds of businesses use Magento ecommerce facilities to run their online business. So what Magento has for its wide base of customers in 2018? Let us checkout. It is believed that by November 2018, Magento will introduce its new version Magento 2. Which also means that they will cease any support provided to users of platform 1.x after November. This is one of the revolutionary upgradations in ecommerce ecosystem. So will this change cause a concern for the existing users or help them? Keep these facts handy before you take a decision to upgrade. Upgradation will not be quick and may take few months’ time. You need to keep your SEO in place during the change, else the upgradation might impact sales. Keep track of any bug that you might encounter while using the platform and prompt report of such issues will help you get quick resolution. Now time to check out the benefits of Magento 2. Help to get higher rankings. Better security and bug fixes. Magento introduces a new learning curve for its users in 2018. It comes with a different interface and layout to help you get trained and re-train your staff on the new version. Magento Development India becomes more interactive with this learning curve and hence more approachable. This training plan is framed to help more and more people enjoy the fruits of ecommerce in the New Year. Magento will encourage people to use quality web designs to enhance customer experience and increase traffic to websites in 2018. The high end UI/UX technology at Magento platform will reduce latency, improve store load time, provide easy checkout and increase promotions through blog posts, newsletters and linking social media. As ecommerce requires convincing customers and relieving them of any doubt regarding online shopping, Magento ecommerce web design trends 2018 include more use of business intelligence and analytics. These advanced technologies help you identify unique customer needs, their shopping trend and behavioural features, based on which you can customise the discounts and offers. Magento in 2018 will help sellers to link relevant data and deliver information to customers quickly and easily. Smartphones are no more going to be just instant messaging (IM) and gaming devices. Using Magento you can get more customers on your mobile application to surf through the products and make online transactions. How? Magento will ensure more responsive mobile applications which can be viewed easily on any screen size and will also offer multichannel shopping options. In 2018 you can get better options to integrate Magento extensions with social media platforms. Social media is gaining importance in people’s life and hence Magento 2018 will help you link Facebook, Google Plus, Instagram and Twitter with your online shopping site. Cybercrime is one of the primary reasons why people refrain from online shopping. Magento helps you convince sceptical customers to buy from your website by providing enhanced security in 2018. Magento creates an unparalleled guard for the sites which ensures no issues even when customers share their bank details online. Magento can help you do anything with the platform to cater to your specific business needs. Grow in dimensions, brand value and revenue using the Magneto upgraded platform in 2018. In 2018 you need not be tech savvy to install ecommerce. Magento technology is getting super easy and all you need to do is collect customer data and feed into the system. Though there are lot of Content Management Systems (CMS) available in the market these days, Magneto is determined to breakthrough and become the most used open sourced ecommerce platform. From attractive themes, extensions and ample number of tips, you can either revamp your site completely or create it from the scratch. 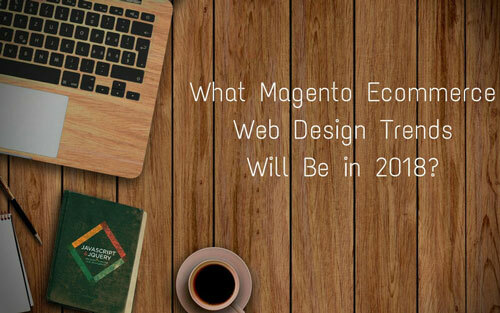 Interested to know more about Magento web design trends in 2018? Visit their mega event Magento Imagine 2018 at Las Vegas to know more about their recent products and expand your business network interacting with global merchants, tech experts and entrepreneurs.